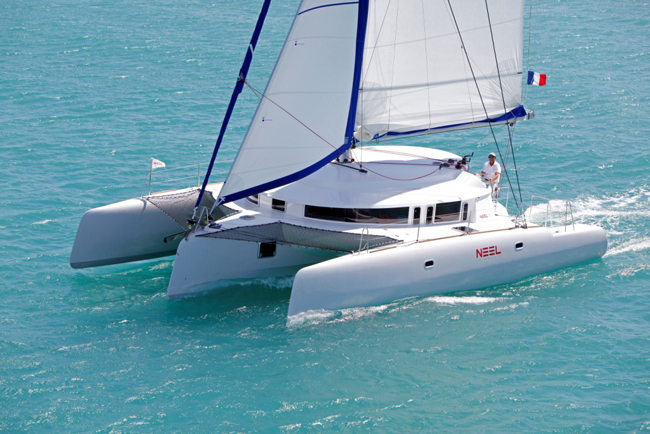 This listing is for a new boat, built to order at the NEEL Trimarans factory in La Rochelle, France. 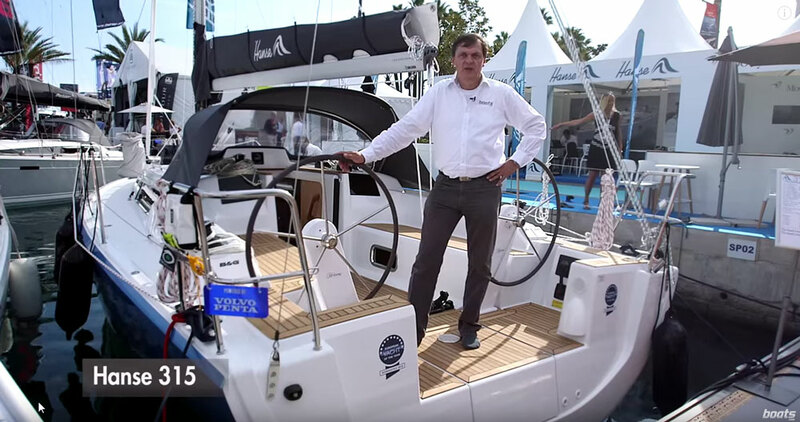 The single-deck layout of the NEEL 45 is a unique aesthetic in marine architecture. The living space, above the hulls, is generous and open. The interior of the center hull is devoted to systems and equipment with plentiful storage. The boat can comfortably sleep up to 10. Spacious decks and the forward trampolines provide ample space for relaxing outdoors, while the covered cockpit features opposing L-shaped settees with a table for each. Sliding glass doors allow plenty of light to enter the galley and salon even when closed, and when left open invite a wonderful breeze and feeling of openness between the cockpit and boat interior. When entering the sliding doors, heads may be found immediately to port and starboard. Just forward of the heads are two mirroring staterooms, each featuring a full-sized berth. 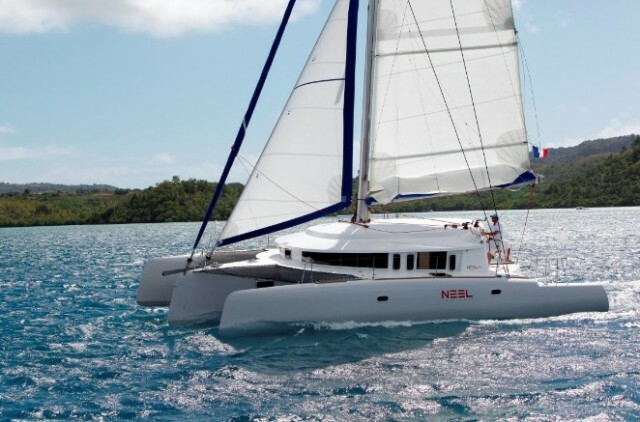 Forward of the berths, the galley of the NEEL 45 is situated to port and starboard in true "galley" fashion. 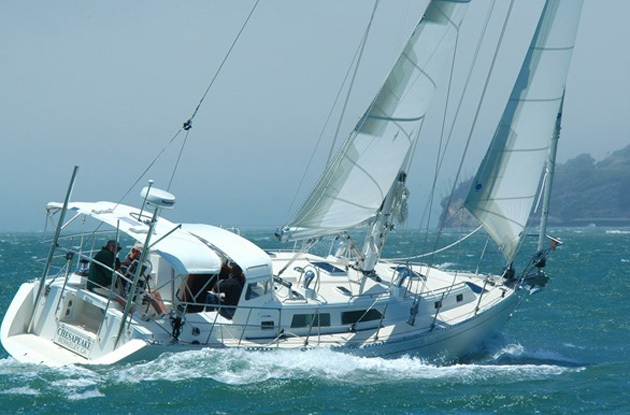 A dedicated, hidden trash bin and double stainless steel sinks are located to port, with a three-burner stove and oven to starboard. Plentiful storage may be found in cabinetry throughout the galley, with prep space on both sides. 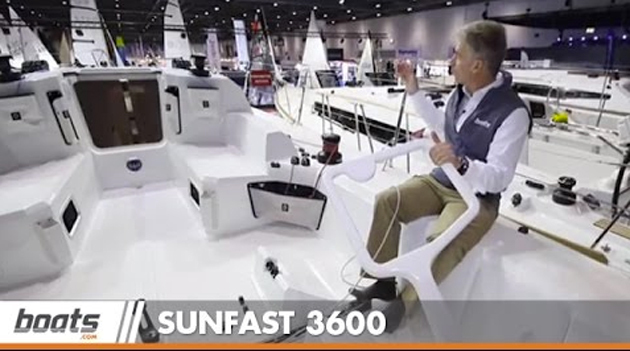 The galley of the NEEL 45 is conveniently located between the salon and cockpit, allowing for ease of food delivery and communication to either space. Moving forward of the bulkhead into the salon area, the refrigerator is to port. Large windows offer panoramic views from the salon and navigation station. A U-shaped dinette is to starboard with the navigation station to port. The forward-most stateroom is located in the peak of the center hull with a full-sized bed. 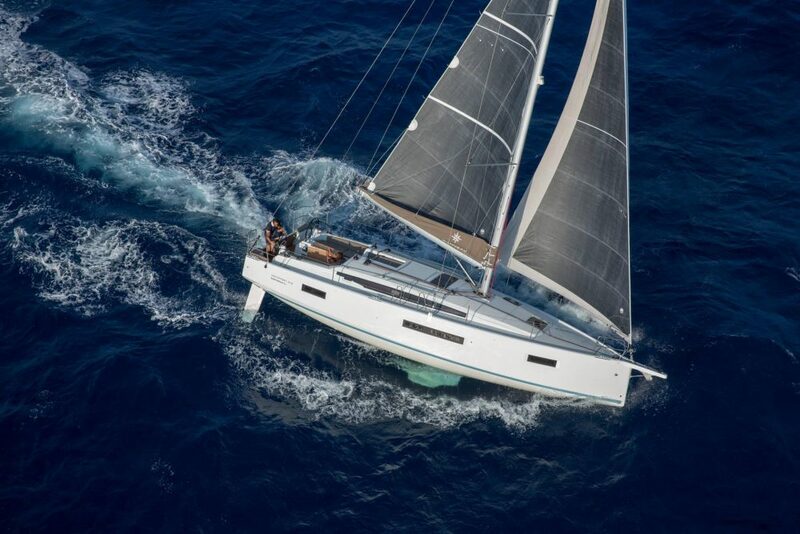 Four single berths are located in the outer hulls, accessible from the deck.